The story behind the internationally known artist's Mexican folk art-inspired new giant work. 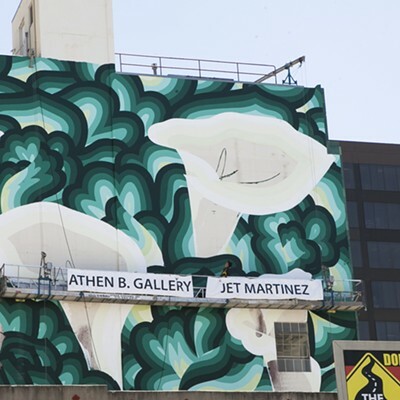 Last week, Oakland artist Jet Martinez finished his largest mural yet, on the side of the I. Magnin Building in downtown Oakland — to stunning effect. The Mexico-born artist is known internationally for his gorgeous floral patterning inspired by motifs in Mexican folk art. 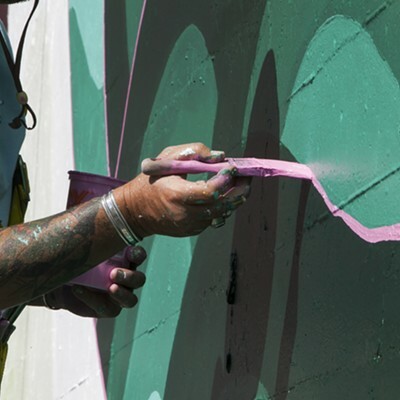 But, according to a recent statement released about his new mural, he recently decided he wanted to contribute more directly to the community in which he lives by doing more local art. 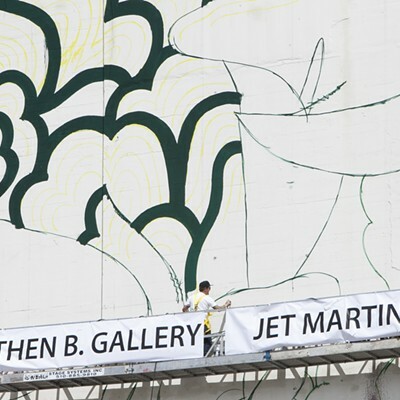 So, Martinez reached out to Athen B Gallery to help him set up a mural project in the city. On June 15, Martinez began painting the gigantic side of the I. Magnin building (on 20th Street between Broadway and Telegraph), recognizable for its emerald green art deco facade. The building was once a department store but has since been converted into office space. 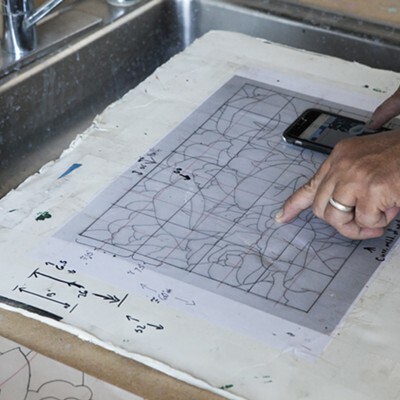 "The I Magnin building for me has always been one of the most beautiful buildings in Oakland. A green tiled, art deco beauty, this building is a symbol of golden era from yesteryear. 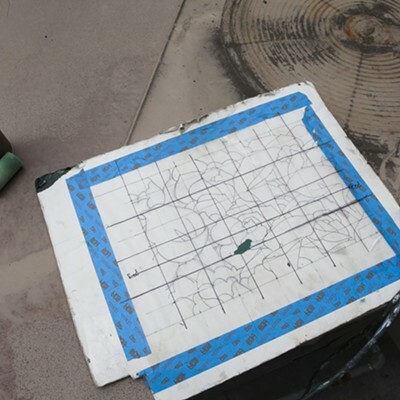 After the devastating effects of the Reagan drug wars and the crack epidemic, downtown Oakland became a shadow of the vibrant space it once was. Now, as downtown Oakland is experiencing a rebirth of sorts, I really felt a real responsibility to add to rather than subtract from this beautiful building and the downtown skyline. ... 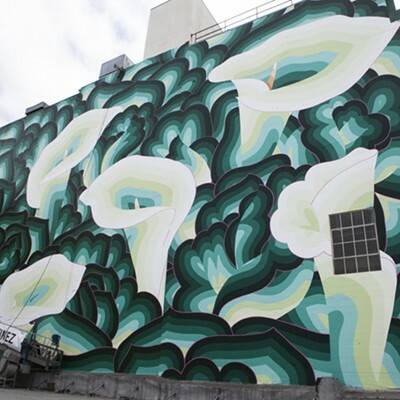 In a city that is experiencing a seismic shift of populations and economies, this piece is meant as a reminder to prioritize natural growth. 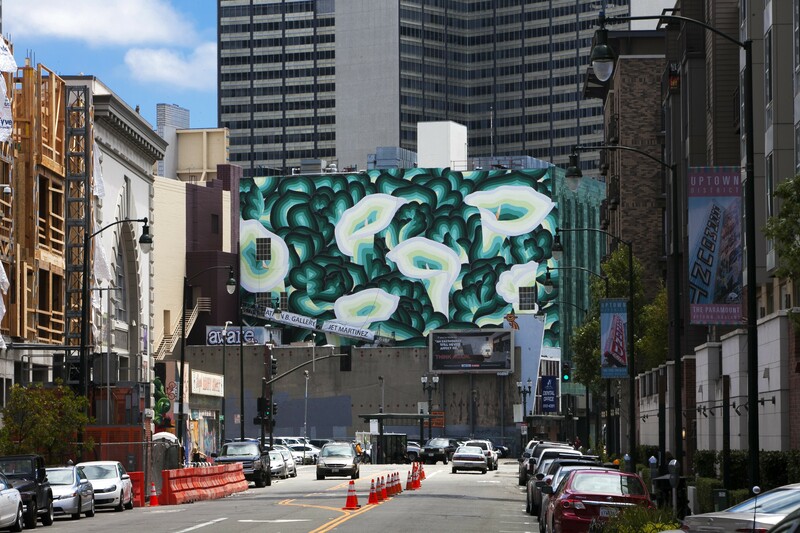 As we bring in more construction and building, I hope this mural brings a reminder of the essentiality of Nature in our society." 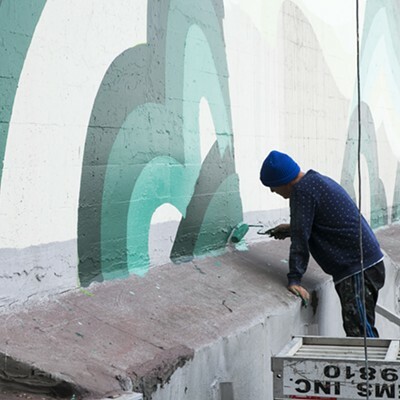 Read the full post here, and look out for Martinez's solo show with Athen B in May of next year.